Loyd Ivey is President and CEO of the Mitek Communications and Electronics Group, a privately held corporation that includes industry-leading consumer and commercial AV brands like MTX Audio, Atlas Sound, IED, Soundolier, DCM Loudspeakers, Xtant Technologies, ETA Systems, Coustic Car Audio, Streetwires, A-Line Acoustics and Esoteric Audio USA. No matter the innovation, Mr. Ivey has been a major proponent and contributor to the advancement of the electronics industry for more than 30 years. Mr. Ivey is widely recognized for his innovative thinking and entrepreneurial success. He possesses an unparalleled passion and always strives for what is best for the industry and for the hundreds of "partners" he employs in the Mitek facilities in Illinois, Wisconsin, Arizona, Kentucky, Texas, and around the world. 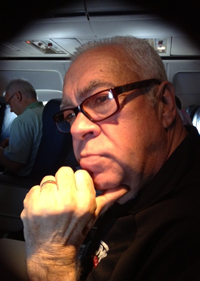 Loyd Ivey is past chairman and board member of many industry organizations (CEA, CEMA, NSCA, etc.) and continues to lead by example for new innovations and advancements. Mr. Ivey is an advocate for the industry's growth and well being, as well as for consumers' rights to enjoy music and the equipment for reproducing it. Mr. Ivey also sponsors charitable organizations and fundraising events and is a volunteer sheriff deputy to help keep his community safe. Named to Wideband Magazine's List of "Influentials", 1999.